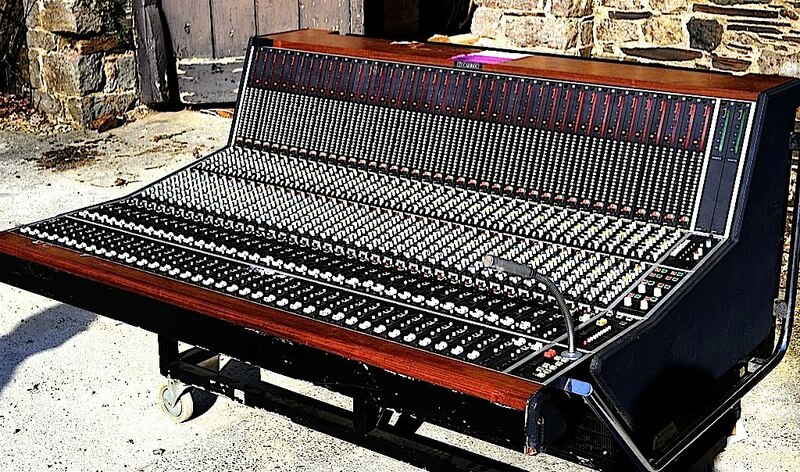 This is an auction for a STUNNING vintage custom made Calrec 40 channel mixer which is in good condition for it's age and was custom made for Front of House duties for the world famous Royal Opera House in Covent Garden, London at a cost of over £150,000 in the 80's. That was a lot in those days too! 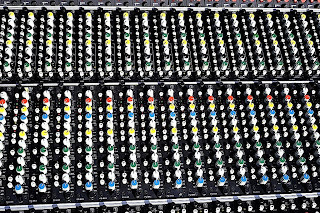 Also included (but not pictured) is a single, genuine plastic Neve knob from a 51 series mixer. I have been told that the design of the e.q. was based on and closely resembles the one in the classic UA8000 Calrec consoles...! It includes a comprehensive GPO patchbay, quite a few power supplies and the leads to hook it all up, plus the original Calrec manual/schematics. Please see the many high resolution photos I have posted to see the good condition this console is in. Considering it dates from the mid-80's it is not too bad at all - have a look at the photos and make your own minds up! The Royal Opera House had the budget to maintain this regardless of expense but it is untested and sold totally AS-IS. This little beauty is ideal DAW front end and you will get some amazing sounds from it. It has that Calrec/Neve warmth to it and you can tell this just by running a couple of channels up with no eq, it just seems to do something to the sound which just seems so right. 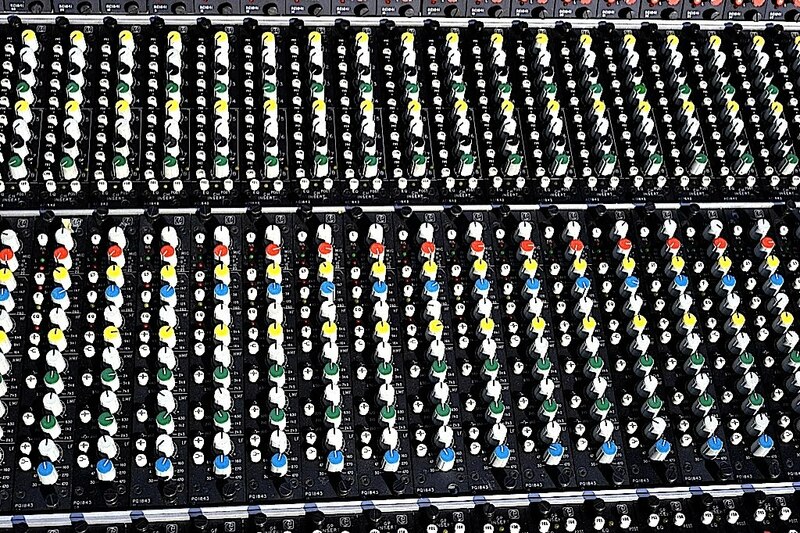 People who have used vintage Calrec/Neve consoles before will know exactly what I am talking about. Well ill let you know since i bought it for 6k sterling, the plan is to either restore it or module it. Having done several racked versions of modules im pleased to say that as yet even the oldest ones still have all the orig electro caps in them...says something about built quality and cap tolerence, Neve could learn a thing or two about cap tolerence's and heat. That said dialastat swithes and pots maybe hard to find. thanks, i have discovered that it was taken out of the ROH in 1993 sent back to calrec and given a full refurb, since then its been in a small private studio where head of sound from ROH used it very little, it has all the drawings which is great, prob what ill do is break out 8 modules and have 32 in the console as i need some real estate for Qwerty keys and screen. Yup it could be an exciting nightmare (or maybe not) ill keep you posted, we collect on the 25th. Bit of a heads up im going to catalogue the refurb here if anyone cares.